What’s with those advisory votes at the top of my ballot? What happened to Nos. 1 through 15? Those were on previous ballots. Just as the state never reuses numbers for initiatives, even those that fail to make the ballot, it doesn’t reuse numbers for advisory votes. What are advisory votes, anyway? Ten years ago, voters approved an initiative that included a provision that called for tax increases to be approved by a two-thirds majority and be put on the ballot in the next general election to ask whether they should be “repealed” or “maintained.” The two-thirds majority provision was struck down by the courts, but the advisory vote rule wasn’t part of that challenge and remains on the books. In putting together the general fund budget this year, lawmakers approved several tax increases, ranging from $540,000 to $13 billion; this is your chance to express an opinion on them. What’s No. 16 about? The Legislature made some changes to the taxes on fish caught and sold by commercial fishermen. It is projected to raise about $550,000 over the next 10 years. Some of it will go into the state Wildlife Account, some into the General Fund. What about No. 17? This is a package of tax changes the Legislature approved to help pay for increased spending on public schools. It includes a sales tax on bottled water, a way to collect sales tax on items bought over the internet from out-of-state sellers, a way to collect the business and occupation tax on some out-of-state businesses with sales in Washington, and a requirement that some sales tax money that used to go to cities and counties go to the state. It is projected to raise $546 million over the next 10 years. Just one vote for several different tax changes? Yes, because they’re all contained in a single bill. And No. 18? That’s the bill attempting to satisfy a state Supreme Court order to provide adequate support for public schools. As part of that plan, the Legislature made a major shift in the property tax system, increasing what the state will collect and reducing what local school districts can collect. 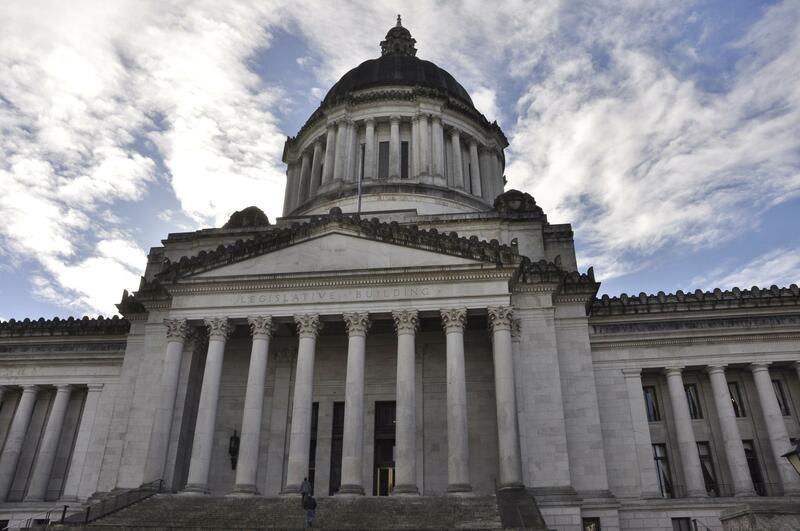 As a result, state property taxes will go up across Washington, and supporters say local property taxes for many but not all school districts will go down. Projections say that will raise about $13 billion for the state over 10 years. Has the state Supreme Court signed off on the revisions for public schools? Not yet. Attorneys for the state argued last week they should; the attorney for the families who challenged the current system argued they shouldn’t. The justices had tough questions for both sides. Why isn’t there more information about these ballot measures in the state Voters Pamphlet? The way the law reads, the state can only provide a 10-year projection of costs, a copy of the legislation and how each lawmaker voted. Unlike initiatives or referenda, it doesn’t allow arguments for or against. Whose bright idea was that? Initiative 960 was one of many brought to you by Tim Eyman, Mike Fagan and Jack Fagan. What happens if a majority of voters say any or all of these measures should be repealed? Probably nothing. Of the previous 15 advisory votes, more than half had a majority calling for repeal. The Legislature isn’t required to reconsider them, and they didn’t. But the revisions to the public school system and the way the state will pay for them are likely to come up next year, with a major rewrite possible if the Supreme Court disagrees with the changes, and for tweaks even if they approve. Lawmakers who didn’t like some elements of the taxes in 17 or 18 could point to the results in an effort to get rid of them. Just in time for your pre-election research, the Public Disclosure Commission has revamped its website in an effort to make it easier to check on who’s giving what to whom, and who’s spending how much on what. It’s the latest installment in what the agency calls its Next Generation Data Access Project. For those who were familiar with the old site, it may prompt an initial “What the …?” when the new look pops up. But it’s fairly intuitive, and the agency has an explainer video on the site to give users a start. Check it out at www.pdc.wa.gov.